8-2-Eat is my food-focused list series. A perfect Friday distraction. Since today is the day after Thanksgiving, if you hosted a meal yesterday, your fridge is probably stuffed with cold turkey, mashed potatoes, stuffing, cranberry sauce and a probably a few bits of various other sides and desserts. Here are 8 ideas for what to do with them. 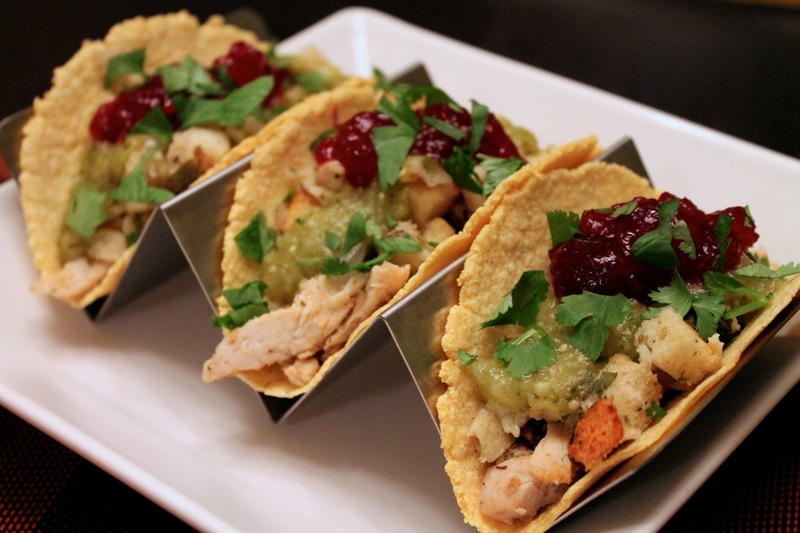 Thanksgiving Leftovers Tacos. A little salsa verde (green tomatillo salsa) makes this more than just thanksgiving bits rolled in tortillas, a spicy and delicious way to re-experience delicious leftovers (pictured at top). 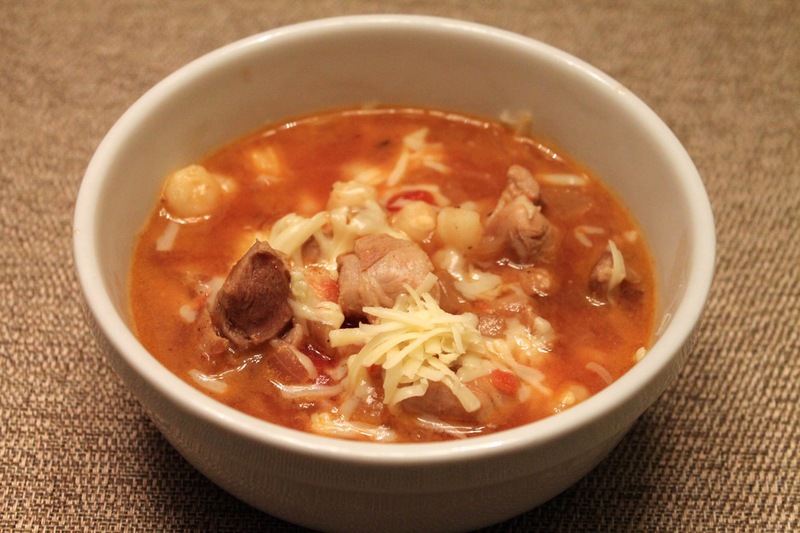 Turkey Posole. This spicy Southwestern hominy stew is a particularly good choice if you end up with a lot of turkey. Turlafel. Washington Post's Bonnie Benwick shows off D.C. chef Alex McCoy's inventive Thanksgiving leftovers sandwich inspired by falafel. The Dilemma – What to Do with Thanksgiving Leftovers? Mother Would Know blogger Laura Kumin discusses what to do with leftovers, including useful tips along the food-safety lines for making sure leftovers are properly preserved. Thanksgiving Leftover Mac & Cheese. From The Daily Meal, a surefire way to use up turkey and cranberry sauce. Turkey Pie With Potatoes, Squash, Chard and Cheddar. From New York Times City Kitchen writer David Tanis, a savory pie (to go with the sweet ones you may still have on hand). Pizza. My first Thanksgiving leftovers recipe turns the miscellanea of Thanksgiving dinner into pizza toppings. 12 Creative Turkey Sandwich Recipes. Many stories about Thanksgiving leftovers try to steer you away from sandwiches on the assumption that they are over-done. However, who doesn't love a good sandwich?! Real Simple has some great ideas to get creative with them.